Happy Monday! Hope you all had a wonderful weekend! Sweater weather is here and I am loving it!! 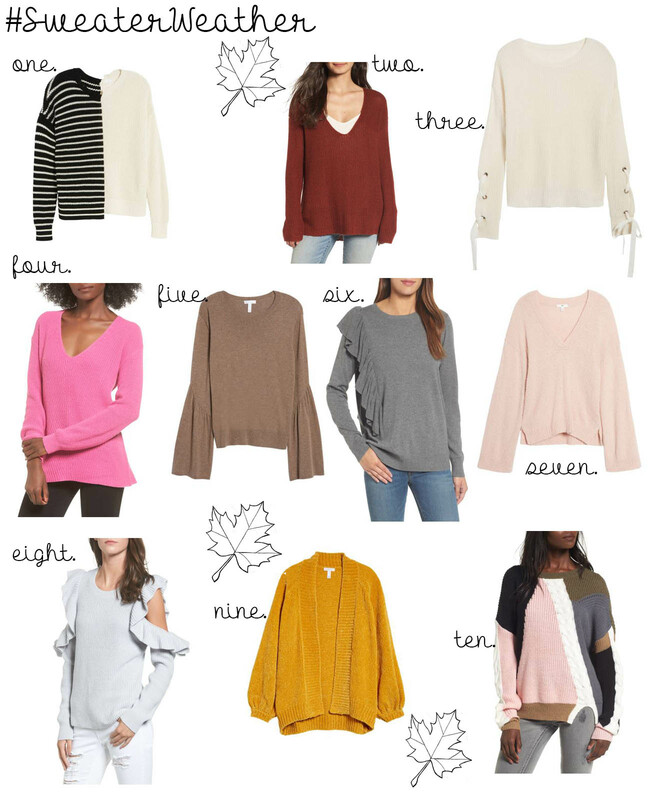 I was looking on Nordstroms website the other day and noticed how many new cute sweaters they have! Lots of variety and colors, too! Bell sleeve, ruffles, colorblock, etc.! I wish I could order all of these! Get new posts delivered to your inbox! Follow by email!